This haul is of epic portions! Lol...Nice! 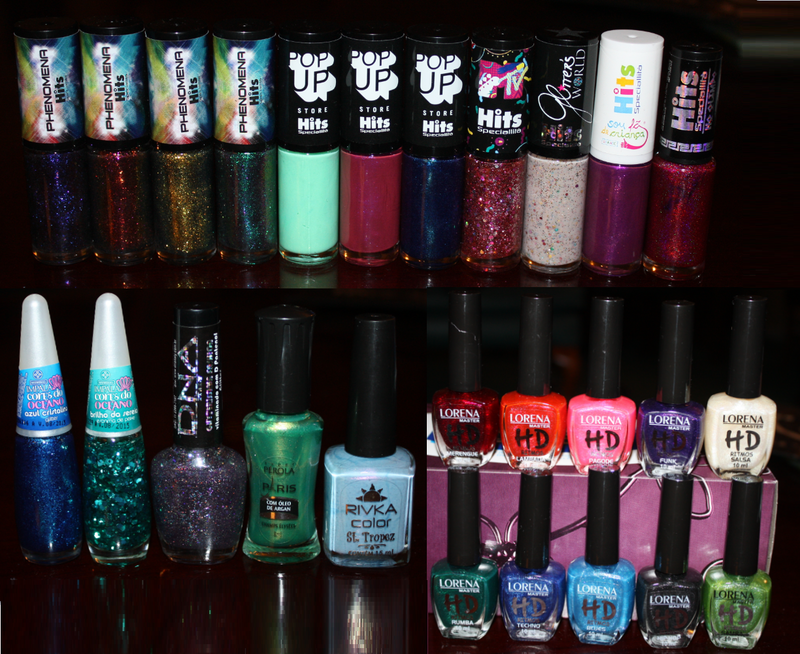 i bought three nail polishes this month. THREE. great haul! That is an AWESOME haul! I'm especially jealous of the Brazil package! Thanks so much for sharing our indie polishes.... we hope you love them....Send us some swatch pics if you ever make it thru your haul....that is AMAZING!!!!!! I don't know how you do it! Anyways, great haul! I'm definitely jealous! At Topshop in The Bay in Yorkdale! Thanks so much :D I will probably clean them right out ;) I had a swap going for some of these babies but it fell through because of all the stuff going on with Royal Mail. I think they only had about 10 colors. I bet they change seasonally. There were three nice glitters but like I said, they were $9 so I only picked up one! !